Uh oh... You know when you make something and as soon as you taste it you are immediately addicted? This is it. This is what's been gaining me brownie points with in-laws, compliments at dinner with friends and has been keeping my chocolate lovin' boyfriend happy. And to make it even better it's actually healthy! Inspired by this recipe and this recipe. Gently melt the coconut butter and oil in a saucepan over low heat until smooth. Add in hemp seeds and mix together. 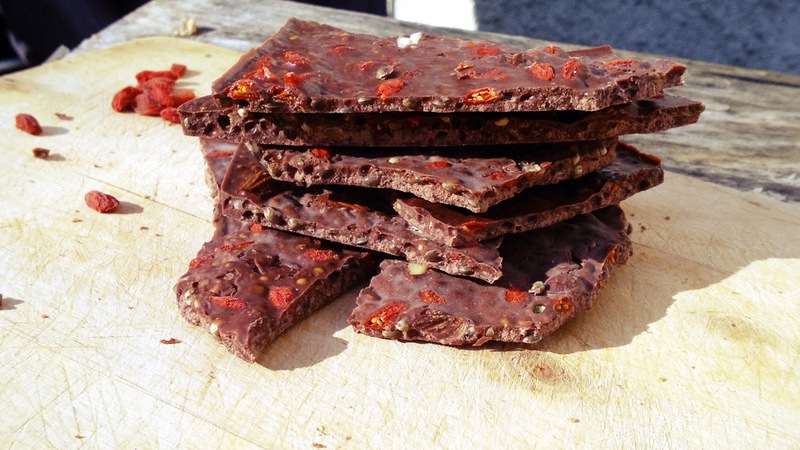 Pour into a 8 inch square pan (or Tupperware container) and sprinkle goji berries and chopped almonds over the top. Place in the freezer to set. It should take around 30 minutes. Crack into pieces and eat! Can be stored in the fridge - I prefer the freezer as it has a better crunch. Once again the options are endless here. You could add so many things to this so get creative and let me know what you come up with! I'd love to hear your ideas. 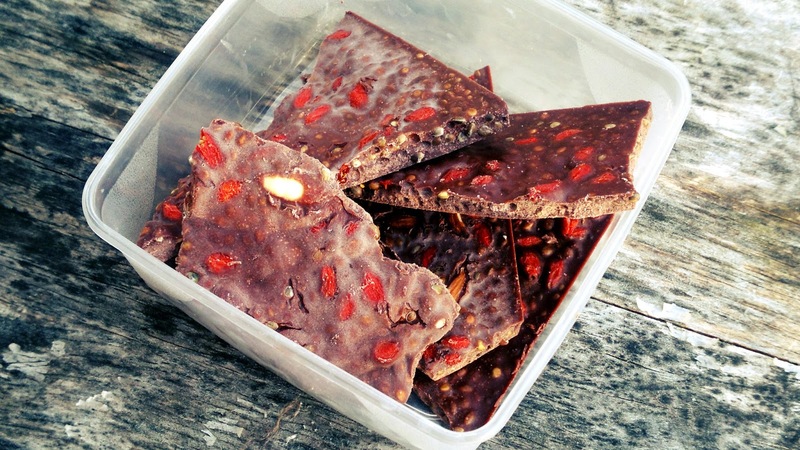 You can see this recipe over at Wellness Weekend. When you say coconut butter, what exactly do you mean? I have coconut oil, but I have not seen coconut butter. Is it the same as coco butter? Please let me know. It looks great!! Hi Therese! The two are a little different.